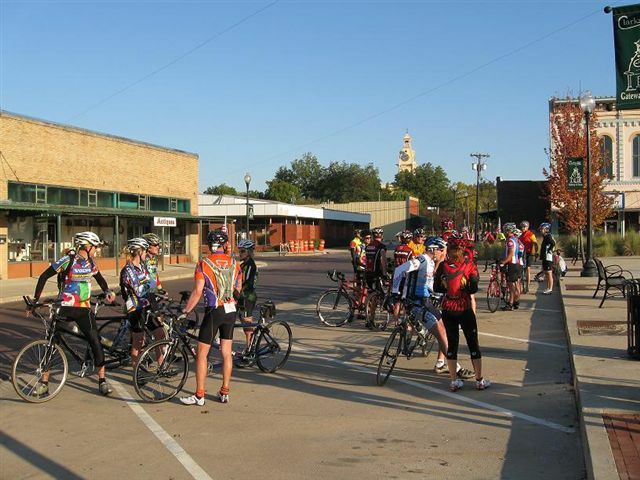 Make plans to join us the 2nd weekend in October for the Fall Tandem Tour and see all that Red River County has to offer. The Lennox House will be the location for our evening meals and get-togethers. Entertainment will be provided by the always spectacular Don Pierce. The Lennox House will open at 6:00 each evening and dinner will be served at 7:30. Accommodations are available at the Courthouse Inn and the Red River Inn, although some rooms may have already been booked. There are also several options available for anyone interested in bringing a camper. There are camper pads and hook-ups at Langford Lake (about a half mile north of town) and next to the Old Jail (in the general vicinity of the Courthouse Inn). The registration fee of $115 covers the evening meals on both Friday and Saturday, entertainment on both Friday and Saturday evenings, and breakfast both Saturday and Sunday for those staying at the Red River Inn (or camping who would like to join us at the Red River Inn). Participants will be responsible for their own lodging and for lunch. Check-in/Registration will be anytime after 12:00 pm until 6 pm at the Historic Red River County Chamber of Commerce (101 N. Locust on the Square). After 6 pm, Check-in/Registration will move to the Lennox House. Additional directions will be provided at registration to specific accommodations depending on preference (B & B/Red River Inn/Campsites). A short ride of 20-30 miles will be planned for Friday afternoon, with no specific start time. The Lennox House is located on West Broadway Street and will be open for mingling and getting acquainted at 6:00, and Don Pierce will be on hand to provide our entertainment. Breakfast will be provided at the Red River Inn between 7:30 to 8:30 for those staying at the Red River Inn or for anyone camping that wants to make their way to the Red River Inn. Ride Details-we will hold a mass start at 9:00 am. While there will be a mass start, riders who want to start earlier or later will have that option (anytime between 8:30 to 10:00). 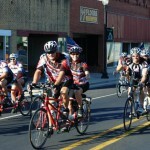 Two ride distances will be available with approximate distances of 50 and 75 miles. (If anyone would like a shorter route, please email one of us, and we can include a shorter loop). Red River County is reasonably flat, but very scenic and fun to ride with minimal traffic. 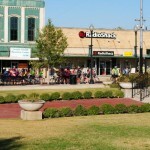 The routes will be a marked and SAGed with rest stops every 20-25 miles. Dinner will be catered and will be served at 7:30, but please come early to enjoy the entertainment and visit with friends. The Lennox House will open at 6:00. Breakfast will be provided at the Red River Inn between 7:30 to 8:30 for those staying at the Red River Inn or for anyone camping that wants to make their way the Red River Inn. 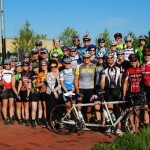 Ride Details-The ride on Sunday will start at 9:00 and will cover a distance of 25-35 miles. 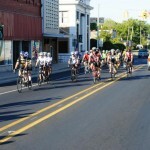 Breakfast and ride start times are the same for both Saturday and Sunday. 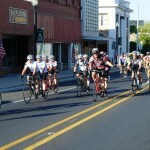 The Courthouse Inn Bed & Breakfast located in downtown Clarksville.. Space is limited to 6 teams. Please call 903-517-0494 to make your reservations. Please indicate that you will be participating in the Tandem Rally as they have blocked all rooms for us for the weekend. The Red River Inn (903-427-2278) is locally owned. They offer remodeled and nonsmoking rooms-some with mini refrigerators and microwaves. We have many tour participants that routinely stay there. Camping at Langford Lake or the Old Jail should be coordinated with the City of Clarksville (903-427-3834). Langford Lake is a reservoir owned by the City of Clarksville, and it is located just north of town. 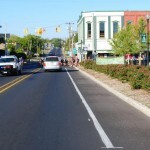 The area surrounding the lake has undergone many improvements over the last several years. There are 6 concrete camper pads and hookups located on the northwest side of the lake in a nice secluded area. Also, the city has developed 3 camper sites next to the Old Jail near the Courthouse Inn. 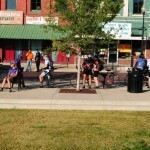 Saturday and Sunday rides will include SAG support and directional signage on the route. 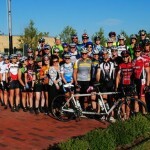 Rest stops will be provided at 20-25 mile intervals on Saturday only. Maps will be provided for all routes. $115 per team which includes dinner both Friday and Saturday, entertainment both Friday and Saturday evenings, breakfast both Saturday and Sunday mornings as noted, SAG support and directional signage Saturday and Sunday, rest stops on Saturday, great maps, and virtually no traffic. I wanted to share a quick note on costs. 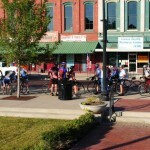 The purpose of this ride since its inception has been to provide a great event for tandem enthusiasts, and to promote tourism in Red River County. The ride has been, and continues to be, operated on a 100% break even basis. In order to avoid costs associated with late cancellations, there will be no refunds for cancellations received after October 1st. We are also requesting that registration fees be submitted at the time of registration. Thanks to Laura Dial and our Chamber of Commerce Directors, our registration process has been completely automated this year. Registration and payment are completed through Eventbrite. A standard release is required to be signed when registering. The link to the Chamber website is noted below. The Chamber website includes additional links for registration, payment, information, and our Facebook page. Registration is limited to the first thirty teams registering. Population is 3,500 and 12,000, respectively. Clarksville was founded in 1833 and Red River County was the gateway into Texas for the first settlers including Davy Crockett and Sam Houston. The roads are well maintained, reasonably flat, with only minor to modest traffic. Pictures from the 2013 Tour HERE. Pictures from the 2012 Tour HERE.